Patrick O'Dea from Roscommon, Ireland arrived in Seattle to teach a Saturday and Sunday afternoon set dance workshop in Bellevue. 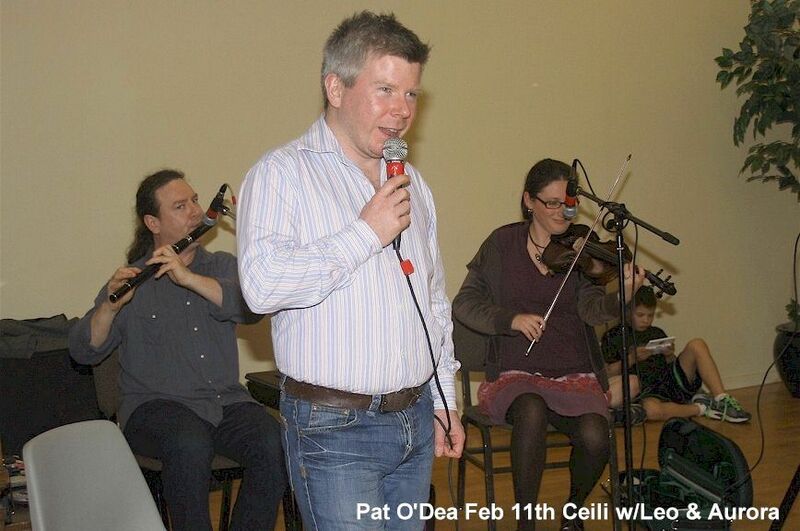 Saturday night he was the dance caller at the ceili in Des Moines WA. Musicians providing inspiration were Leo MacNamara and Aurora Burd. Our deep thanks to Patrick O'Dea for including Seattle on his USA tour and to babysitter Martha O'Grady who makes it all possible too. Sorry - I'm busy sewing costumes in preparation for St Paddy's events, but check back after March Madness for more photos and vid clip highlights of the Pat O'Dea set dance wkend !